(MENAFN - Jordan Times) AMMAN — According to the Department of Antiquities, 27,000 heritage sites in Jordan are well-documented, which makes illegal excavations and vandalism easier for those looking to rob sites. 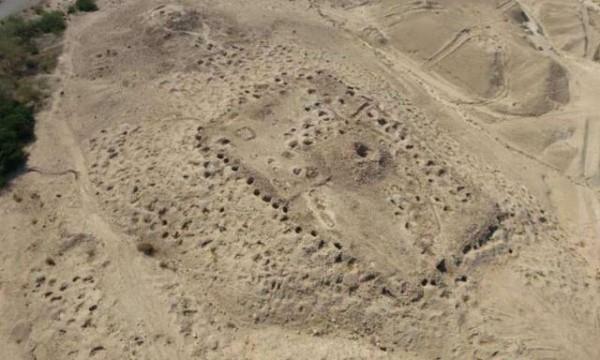 'There is a permanent danger for the monuments, dueto population growth, social development and urbanisation, followed by vandalism and illicit excavations,' said professor of archaeology at the German-Jordanian University, Thomas Weber-Karyotakis. However, the scholar added that problems caused by these factors are not much more dramatic than in other countries such as Turkey, Greece, Italy and Germany. 'Jordan has very good legislation concerning the protection of immovable and movable antiquities. It is always a question how these laws are applied,' Weber-Karyotakis stressed. Areas on the periphery of Amman are particularly threatened, like Khirbet Yajuz, Quweismeh and Khirbet Al Souq, the German expert underlined, adding that traces of the Roman Via Traiana, 'one of the most importanttrafficroutes in the Orient', were still visible in 2014. However, they have been entirely removed by public water piping projects in the last three years. The common problems are that the pace of change, in terms of agricultural intensification, building and construction, are all affecting archaeological sites across the region, and that the Department of Antiquities does not have the resources to cope with the enormity of the problem, noted Director of Endangered Archaeology of Middle East and North Africa Robert Bewley. 'The differences are that some of the national authorities have better records than others. Morocco, Egypt and Jordan have better records than say Libya. The level of cooperation between countries is growing and in terms of understanding the best approaches and sharing experience, there is a high level of cooperation and collaboration,' Bewley stressed. 'Since 1940, everything changed dramatically,' said Professor David Kennedy from The University of Western Australia, adding that the crises developed as the population of Transjordan rose from 330,000 in 1941 to 7.9 million in 2014, which is a 2,400 per cent increase. 'At the same time, the UK experienced a 20 per cent increase in its population,' the scholar said. Landscape development also affected archaeological sites near the capital, the expert stressed, as the biggest increase in the number of citizens occurred near ancient Philadelphia. Weber-Karyotakis said a major reason for the negligence towards preservation of Jordanian heritage is ignorance. 'There are a handful of prominent Roman rural sites still visible and occasional fragments of Roman roads and milestones,' Kennedy said. Western archaeologists can do much to assist in preservation because of their advantage in resources and tools, Kennedy suggested. 'A major endeavour to improve the situation lies in augmented public education, in order to understand monuments as elements of individual and collective identity, and as vehicles for the development of quality of life,' Weber-Karyotakis concluded.